You can’t disable facial recognition, but you can stop Facebook from using its database. Recently we reported on Facebook acquiring face.com for an estimated $60 million. If you’re already worried about Facebook privacy, here’s how to disable Facebook from using facial recognition technology. It’s not just the recent purchase of face.com that should concern privacy conscious users. The service already uses face.com’s facial technology. The facial technology tries to associate the uploaded photos to your face. You can’t disable the feature, but you can stop Facebook from using its facial recognition database. 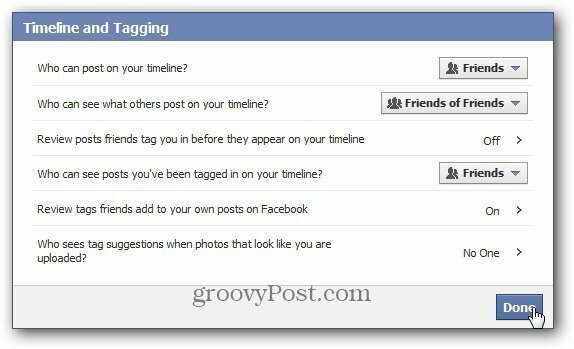 First, log into Facebook and go into Privacy Settings. 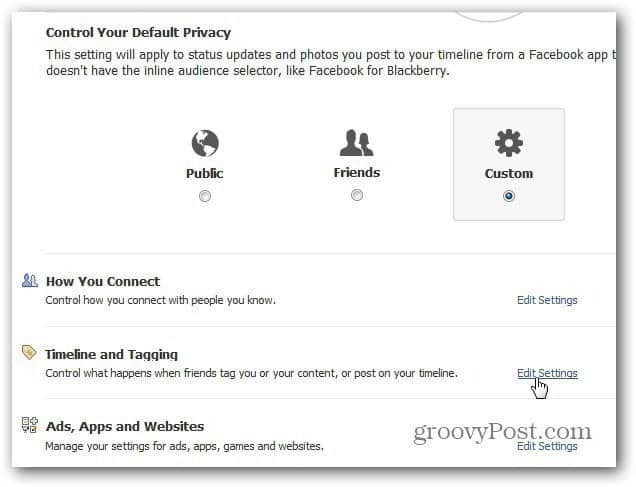 On the Privacy Settings page, next to Timeline and Tagging select Edit Settings. After clicking Okay, you’re brought back to the Timeline and Tagging window. Just click Done. Or, if you want to explore more of the settings Facebook conveniently Opts you into, this is a good place to be. Of course if you have no desire to deal with Facebook’s privacy settings at all, you can permanently delete your account. Are there any other social websites out there; besides MySpace, etc maybe less well known? I only signed up for FB to locate some long lost family and friends. I am not out to make new friends, etc I have all of my privacy settings as tight as they can be; but I can’t keep up with them!! Anyway I am sick of FB but have no other platform to stay in contact with my long lost family as we all live far apart. Any help would be appriciated!